We have been providing high quality catering services over the past 20 years throughout the Northwest. Our company goals have been driven towards providing the very best in event catering, maintaining our high standards, excellent quality of food, value for money and service. All our catering units have been purposely designed and built to a high specification enabling us to have the ideal working environment. This ensures our customers receive the best possible service. Out staff are all fully trained, responsible and respectable people. We are able to offer a wide range of different eating options and various sizes of units. 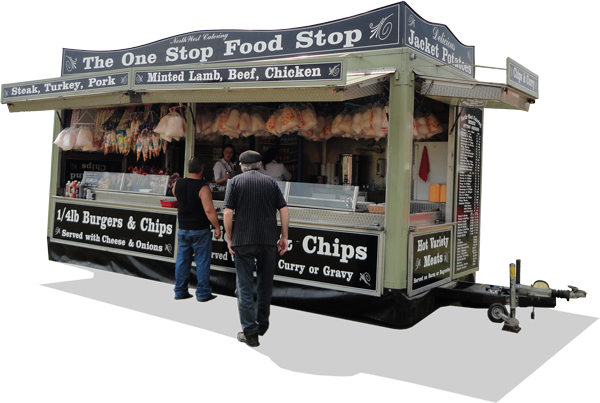 Sizes of catering units start from 10 foot in length going up to 20 foot with a large selection of units sized inbetween. All units provide hot and cold drinks.